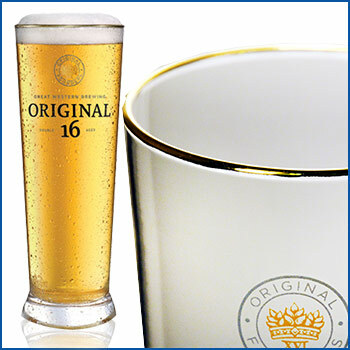 UV printing is a totally green, cost effective and reliable way to decorate your glassware with Zenan. With many benefits such as glass strengthening and dishwasher durability of more than 1000 cycles, UV technology is replacing old methods of printing. 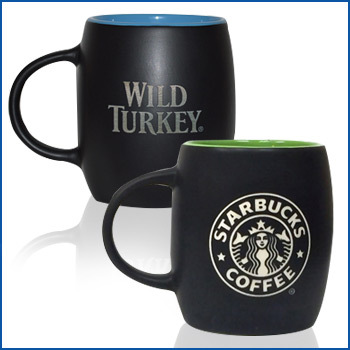 Zenan is the only Canadian manufacturer to offer UV printing technology. 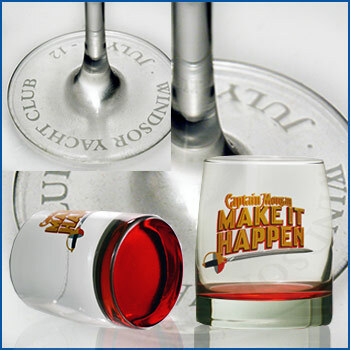 Zenan has the capability to create custom glasses from concept to design to execution. With professional 3D designers and 3D printers for presentation, your vision becomes reality before your eyes. 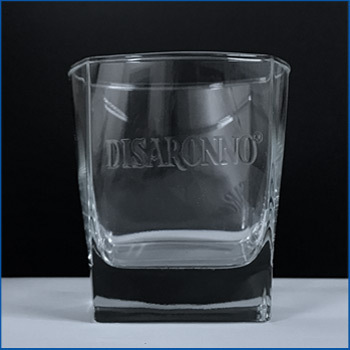 Zenan has created custom glasses for most major brands. 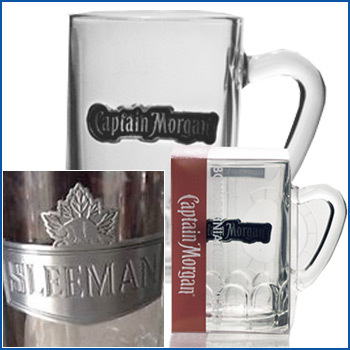 A customized pewter medallion is an extremely personalized way to decorate your beer mugs, shot glasses, liquor glasses and other glassware. 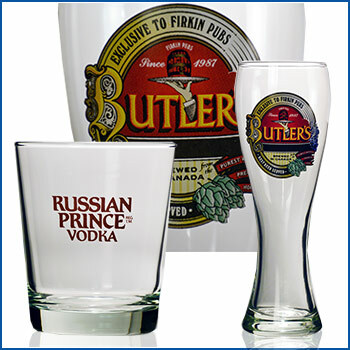 Zenan has full flexibility in re-creating your design or logo in pewter and adapting it to fit perfectly on the glassware of your choice. 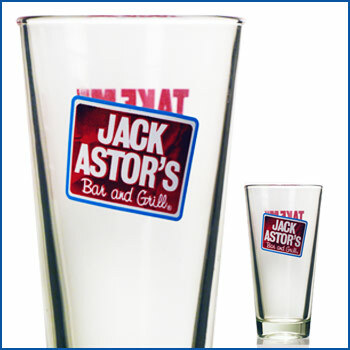 Create beautiful customized and personalized designs, messages and monograms on both curved or flat glass surfaces. Zenan uses precision engraving machinery and advanced technology to create consistent quality light or deep engraving with the right translucent effect for a classy look. 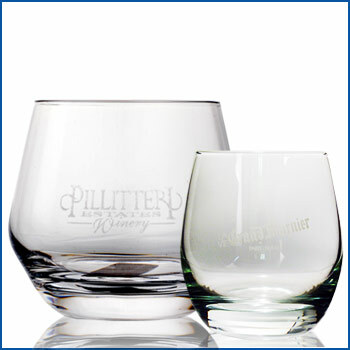 This specialty printing done on the base or foot of the glassware will provide you with a subtle unique option. Sand Blasting works exactly as it sounds! You can create some amazing results on glass and ceramics with this time tested process. It involves some meticulous preparation and professional application, but you can’t argue with the final product. Nucleation is a unique decorating idea that is both functional and visually beautiful! This technique accelerates carbonation, making your drink more effervescent, releases aromas and flavors, and promotes head retention! 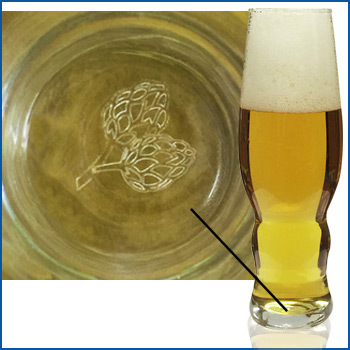 The laser etching creates more “bubbles” in your beer by circulating the air in the glass. This allows beer to stay fresher longer. 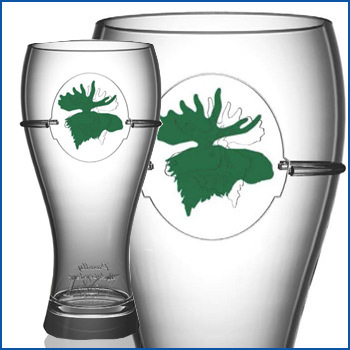 Let Zenan laser etch your logo on the bottom of your beer glass for a great new branding idea and a better beer experience. Go ahead and give this one a try for pennies a glass. 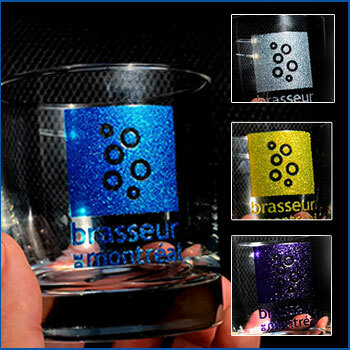 Glitter Organic Ink printing with UV process is totally green, cost effective and a FUN way to decorate your glassware! This process is for special applications where you want to add some sparkle to your design. Not all detailed designs will work with this process, so art has to be approved before starting. Zenan is still the only Canadian manufacturer to offer UV printing technology.